Diabetes mellitus is a group of diseases that result in high blood glucose levels. Causes of diabetes tend to be a combination of genetic background and environmental factors. "How much of a role does genetics play?" 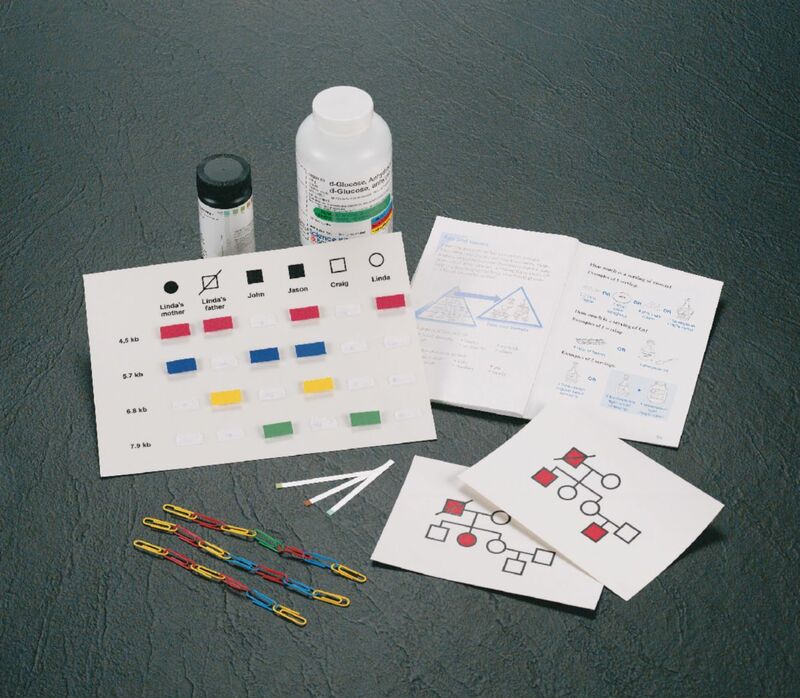 Each of the five activities in this kit explore a different aspect of diabetes. Students compare a "normal" DNA strand with one that has a mutation known to cause diabetes, test solutions with glucose test strips to determine the glucose levels of each, examine the disorder from a Mendelian perspective (pedigrees), workout a diet according to NIDDK guidelines and investigate techniques used to determine if a person carries the genes for diabetes. Includes instructions, glucose test strips, glucose, food colouring and manipulatives. By Bill Humphries.